An inception meeting of 7 no. West Sholosohor Ward Disaster Management Committee (WDMC) was held at 7 no. 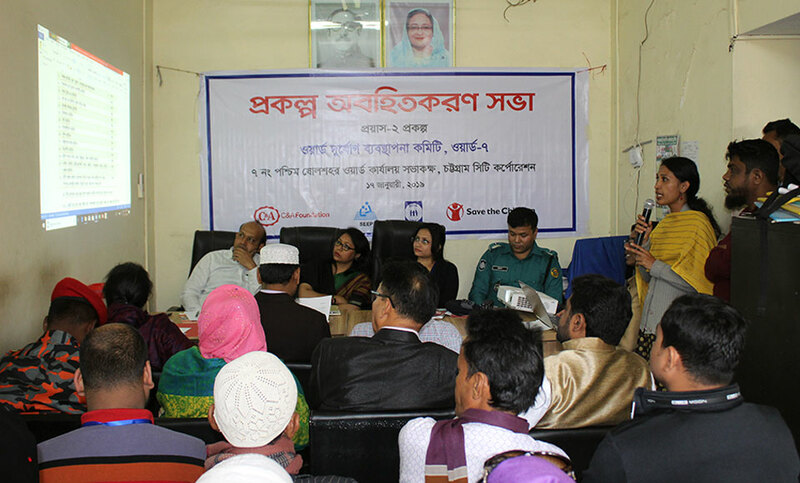 Ward councilor’s office on 17th January, 2019 in Chattogram. 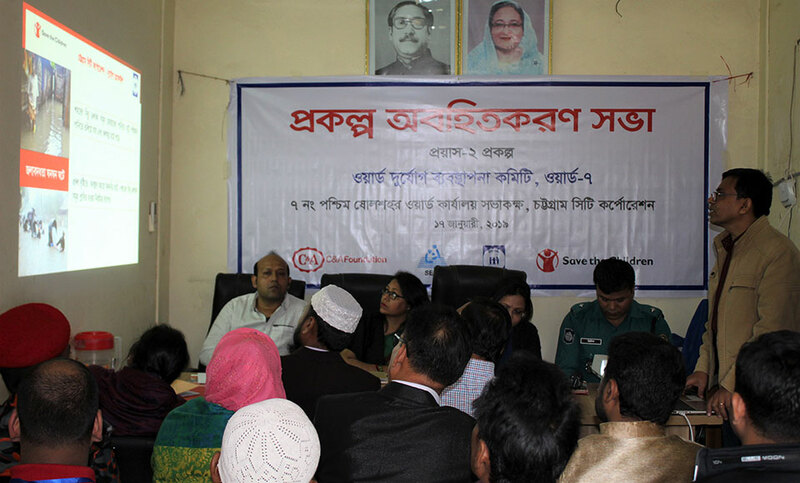 YPSA (Young Power in Social Action), an organization for sustainable development, organized the meeting under the project “Proyash Phase II” with the support of Save the Children. 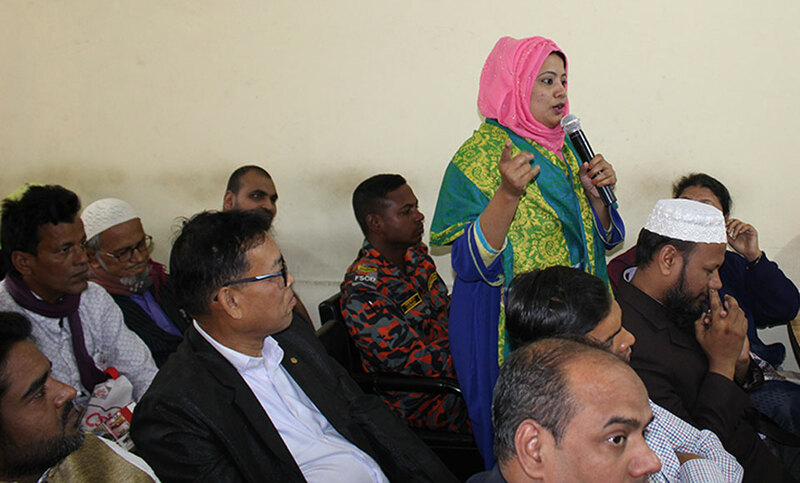 YPSA Project Coordinator Mr. Dukul Barua gave an overview of the project and Ms. Sanzida Akter, M&E Officer of YPSA; presented the roles and responsibility of WDMC. Whole program was facilitated by Mr. Ataul Hakim, Project officer of YPSA. 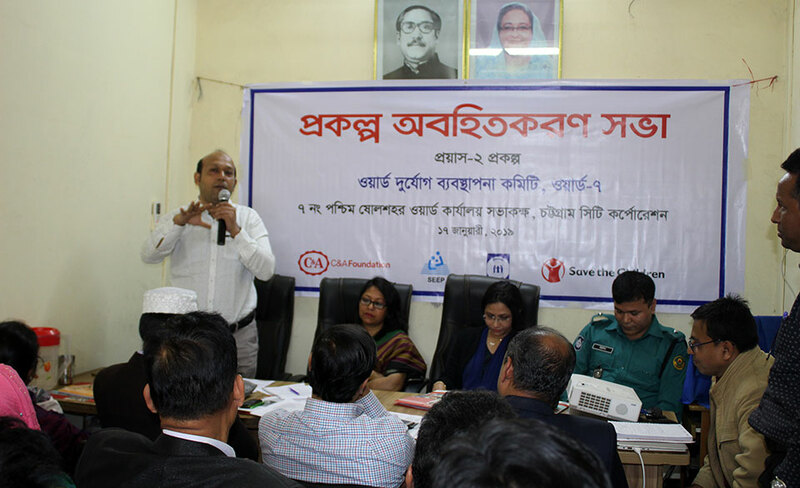 Mr. Priton Sarkar, Police Inspector; Mrs. Shabnam Mustari, Medical Officer; Ms. Shamim Ara Akhter, Headmaster of Hamjarbag Govt. Primary School and representative from FSCD, BNCC, NGO representative and Civil Society were also presented at the meeting.